Upon the completion of the recent MarketingSherpa 2012 B2B Marketing Benchmark Report, we learned that because of an ever more challenging environment, B2B marketers are beginning to embrace sales conversion as a Sales and Marketing responsibility, and not just Sales alone. We are on the right track. The challenge is that marketers are having trouble gaining funnel optimization maturity. 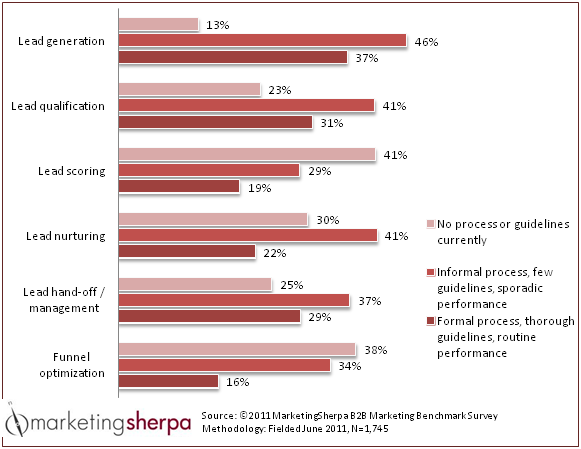 B2B marketers are the most likely to have formal processes established for lead generation, and the least likely to have them for overall funnel optimization. Now is the time for marketers to capitalize on this trend, and really get ahead of the curve to establish their companies and themselves as industry leaders and champion over the competition. So how can marketers gain maturity in funnel optimization? As a highly complex process, it is likely the reason for marketer’s struggle. Starting with some funnel optimization is going to be more effective than paying no regard to it. In this interest, we have identified a simplified, five-step process to getting started with funnel optimization. Before you can optimize a lead’s progression through the funnel, you must first map out what that funnel looks like. Identify the stages buyers go through from lead generation to sales conversion. Your funnel will need to be measurable, encourage accountability between Marketing and Sales, and remain as simplified as possible. You will need to collaborate with Sales to determine the criteria of a qualified lead for your organization. 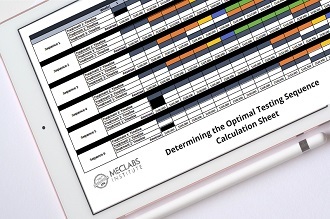 Once the criterion is determined, develop automated scoring methodologies considering demographics and behaviors to measure a lead’s quality against your definition. You will set a lead score threshold that identifies a lead as qualified. Your qualification and scoring will need to be monitored and tested over time. 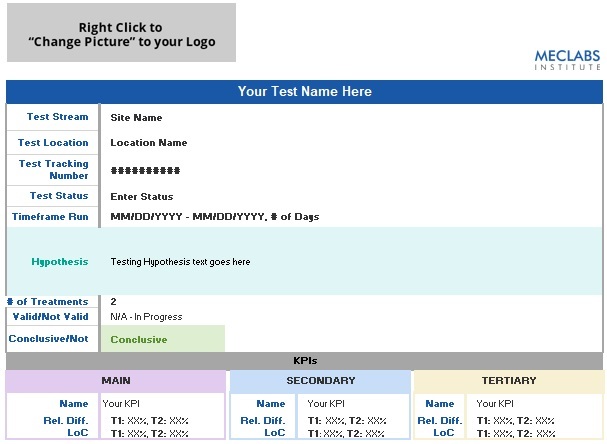 Now, you’re ready to start screening leads from Sales. If a lead score indicates the lead is qualified, send the lead to Sales. 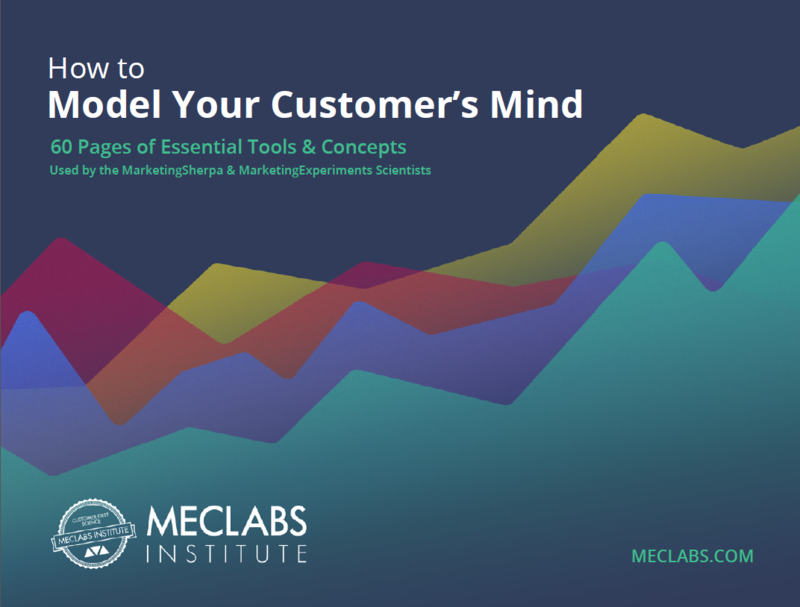 All other leads remain in Marketing’s ownership for step 3. You will need to nurture non-qualified leads until they are ready to engage by sending them ongoing, relevant communications. Get started by repurposing content you currently have to reach new audiences. Nurture leads until they reach your target lead score threshold, then send them off to Sales. 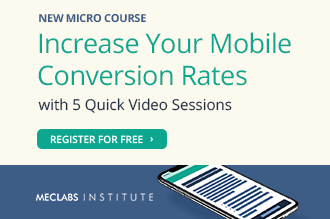 Add new content to your nurturing campaigns over time. You don’t have to stop nurturing leads once they are handed off to Sales – nurturing can support sales conversion. Just be sure to have intricate tracking in place so as to not inundate your audience with too many messages coming from Sales and Marketing. This is where the long-term work comes in to play. Your initial funnel optimization plan will need to be tested and optimized over time. Even if you get it right the first time, internal and external changes will happen that will affect your practices. Industry events, competitor pricing strategies, your own new product launches are just a few examples of changes that will require adaption. As always, be sure to continually test and optimize all of your funnel optimization strategies. Jen Doyle will next be speaking at B2B Summit 2011 in San Francisco, October 24-25, in a tactical training session about lead scoring. Thanks for the five steps that you had shared Jen. It greatly helped to b2b marketers like me. Many of the blog posts I’d read includes lead nurturing process as a helpful tool in conversion process which is indeed an effective one.